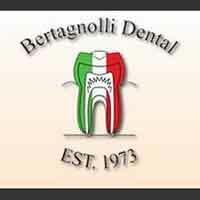 When you are looking for a dentist in Westminster Co, Bertagnolli Dental would like to welcome you into our practice. Our team of general and cosmetic dentists understands that making the decision to enhance the appearance of your smile is a big one. We want our patients to make informed decisions on their dental issues. We know choosing the right dental office can be a difficult one. You need a dentist who is experienced and can effectively diagnose and treat any issue you may have. Once you enter our office you will instantly feel at ease. We are a family dental practice with a comprehensive list of restorative, general and cosmetic dental services to meet the needs of your entire family. In addition, we also have an in-house laboratory where we can work directly for our patients saving them time and money. As a dentist in Westminster Co we take pride in providing the care you need to keep your smile healthy. Schedule your appointment today.